Each of our premium gems are hand selected for size, shape, and finish! Out of each lot of gems, only a few can make the cut and can be made into our first quality, premium gems! As a result, we end up with quite a few smaller, sometimes slightly irregular shaped gems! These we are now offering to you at a truly wonderful price! Only available in RUBY RED this time around! Quantities are limited! 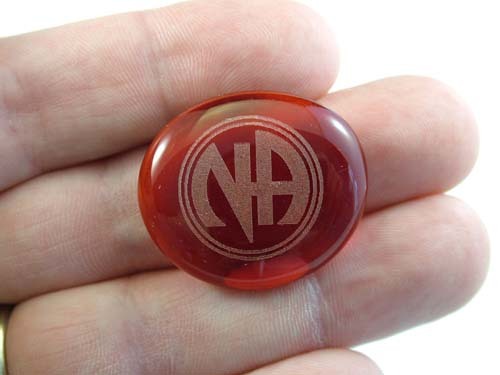 Each of these ruby red recovery gems gets laser etched with the Classic NA symbol (.8" diameter graphic) - a constant reminder of our fellowship and the program that offers us a new way to live - Just for Today!